With summer around the corner, its a good time to take a few simple steps to make sure you are ready for confronting a summer storm. Thunderstorms frequently cause temporary loss of electricity, making it difficult to handle the simplest of tasks. 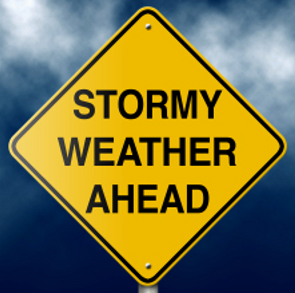 There are several things you should consider as you prepare for summer storm season, including a centralized location for your supplies, alternate sources of light, a spare telephone, water, and an emergency food supply. Before gathering your emergency supplies, it is essential to designate one central location to store some of the items you need right after a power loss. A kitchen pantry is an ideal area for this. Keeping most of your emergency storm supplies in this centralized location will make your life a lot easier. If you dont happen to have one, building a kitchen pantry one is an easy DIY job as seen in the video below. If you suffer a power loss after dark, you will need a source of lighting. You definitely should invest in a couple of decent flashlights and extra batteries. You may also want to buy matches and emergency candles. Since many summer storms are also capable of creating tornadoes, it would also be advisable to have a small battery-powered radio as well. Many emergency radios are equipped with hand cranks to generate power such as this Ambient Weather WR-111B Emergency Solar Hand Crank AM/FM/NOAA Digital Radio, Flashlight, Cell Phone Charger with NOAA Certified Weather Alert & Cables. Many people do not realize that some electric carriers cannot detect a power loss at your residence. If you only have access to a cordless telephone, you will probably lose your telephone service at the same time that you lose your electricity. Keeping an extra dial-up telephone handy is the most reliable way to get in touch with your electricity carrier. You should always have some bottled water available in case you lose access to clean water during the storm. You will need to have water available for drinking, hygiene reasons, and food preparation. The rule of thumb is to store at least 1 gallon of water per person per day. Make sure you have a supply of easily heated foods available such as canned soups, pasta and stews. Dont forget: Even if you experience a power loss, you can always heat canned goods in a pot on your grill. It is conceivable that you could be without power for a couple of days, so stock up on some items that can be eaten without reheating as well. These might include peanut butter, crackers, Vienna sausages, precooked canned meats, canned fruits, energy bars, and trail mix. Take a few minutes to prepare now, and you can be at ease as summer approaches. If you are faced with a serious summer storm, you wont regret it.